So if you’re looking to harvest this to eat you’ve got to catch early on in the season or you’ll miss out. Garlic Mustard is a biennial flowering plant in the Mustard family that is native to Europe and parts of Asia. 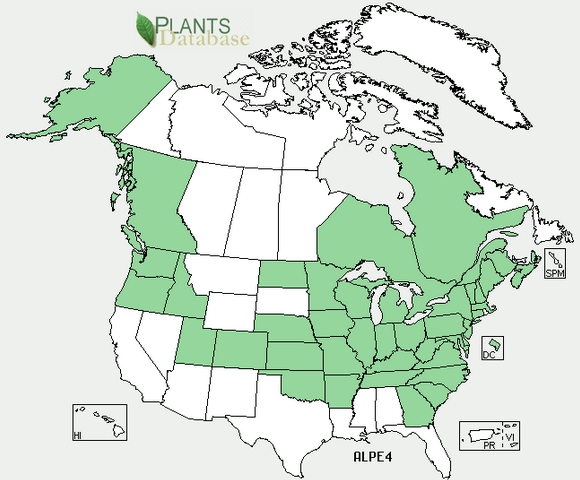 Here in the U.S. it’s a noxious (I like to say abnoxious) weed that crowds out our native plants. But luckily for us, it’s a very tasty and nutritious plant and should be harvested as much as possible to mitigate its spread. 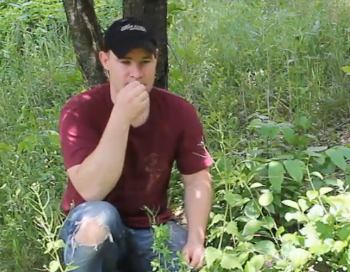 The first step before eating any wild edible is to positively identify it. Fortunately, there aren’t really any poisonous look-a-likes so if you can match the following traits (most of all, smell) it’s pretty certain you’ve found it. Scallop-edged leaves in a basal rosette: You’ll find rounded, kidney-shaped leaves with scalloped edges. Plant smells like garlic when crushed: To test for this, take any part of the plant (esp. the leaves) and crush it down to release some liquid and if it’s garlic mustard, you’ll detect the distinct smell of garlic. 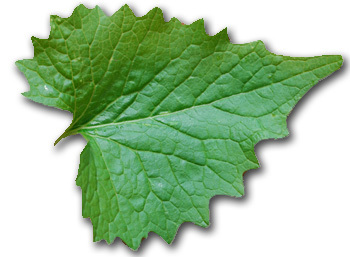 Stalk with alternate leaves: In its second year of growth, garlic mustard will develop a stalk with alternate leaves. Toothed leaves: The second-year growth’ leaves are more deeply toothed than the first year. Small four-petaled white flowers: Like others in the mustard family, the four-petaled flowers are a giveaway. These are about the size of your pinky nail. Although it can grow in sunny areas, you’ll more likely find Garlic mustard hanging around moist, shaded soil of river floodplains, forests, roadsides, edges of woods and trails edges and forest openings. In disturbed areas (like construction sites) you can find huge invasions of the stuff. 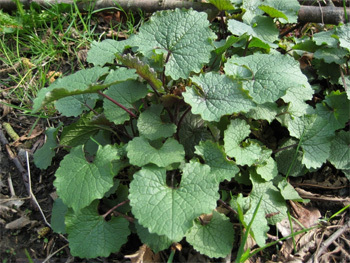 Garlic Mustard can be used in many dishes that call for spinach or garlic. If, for example, you’re making spinach lasagna and replace it with Garlic Mustard, you’ll find that the mustard adds a little “kick” to it. In a blender or food processor, put in garlic mustard, nuts and 1/4 cup of oil. The above pesto is great with pasta or as a dip. Enjoy! Sounds good. Thanks for the info! Watched the video (on youtube and subscribed too) and the juice does look good. 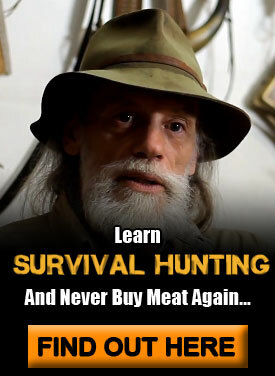 I’ll go hunting for it next time I am in the woods. On a side note, I carry extra coffee filters in my bag in a Ziploc baggie that might be good rather than an old t-shirt. 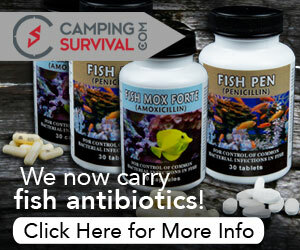 They come in handy for anything from stuffing a deep wound to filtering liquids to using as fire starter. Like you, I have to justify carrying what I pick and try to be sure it has at least three purposes. In their older stage, they look similar to nettles. How would you advise people to tell the difference so they don’t actually grab hold of a nettle? Thanks!! If you look carefully at the stems and underside of the leaves; Nettles have stinging hairs(needles), mustard is smooth. Both are good to eat when young, steam or boil nettles like you would Spinach. 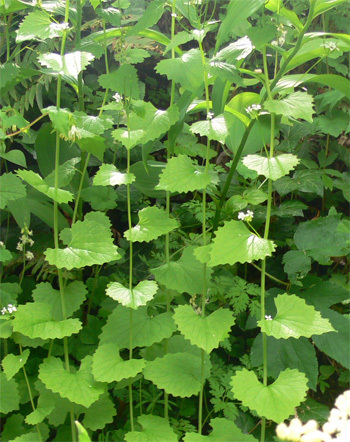 Here in Oregon, Garlic Mustard is an invasive that we are trying to eradicate in some areas and simply contain in others. 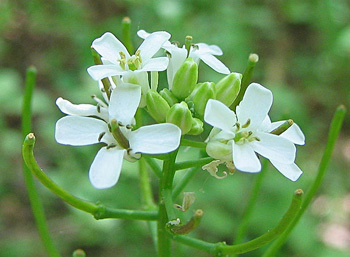 It is an Allelopathic plant which kills most other plants around it creating a mono-culture, thus destroying the biodiversity where it is found. It is very tasty. Got any market for this product? We’re fighting it back everywhere, and it’s a losing battle. We’ve thought about eating it, but weren’t sure. I’m not a big fan of pesto, but I might have to convince the wife to try it in lasagna. Another easy to find and use edible is day lilies. You cut at ground level and use the part at the bottom like you would a leek. You can eat them raw with a slight peppery taste or cook like other greens. 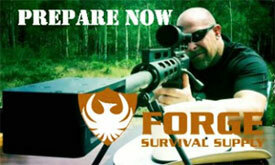 I just had some yesterday on my one day practice survival. LOL! Sounds delicious, Erich, Now, every time I go hiking, I’ll be on the lookout for both that and the equally rare Dijonnaise Plant. Two for the road! I saw a recipe for Boursin-style cheese with garlic mustard in the Wild Things Roundup over at hungerandthirstforlife.blogspot.com. Just steamed up my first lambs quarters last night. Just like spinach but, I think, even better. They are loaded with lots of vitimans and minerals. They grow as weeds in most peoples veggie gardens and in any disturbed soil. The stems are tough so just eat the leaves and tips. A little garlic and olive oil and delish! I don’t know about the US garlic mustard, though it looks the same, (or to give it its other name herer in the UK of “Jack by the hedge”, (don’t ask me! I just eat the stuff). But all the garlic mustard I’ve ever eaten has a slight bitter after taste, but I’ve only ever eaten it raw, never cooked with it, I’ve come to like this bitterness, and only ever have it as an addition to a salad with everything else I could forage at the time, eaten raw all edible leaves have a higher vitamin mineral content than with cooked, unless you include the cooking water as your stock. Garlic Mustard is a terrible invasive here! I pull out bushels of the stuff from my property every year. I’ve used it in sandwiches instead of lettuce, but will be trying your pesto recipe soon (it’s just begun popping up this year). Stinging Nettle as the name implies will sting the instant you touch it so you will know. You can tell the nettle by the fine hairs covering the leaves and stems. However both plants are edible and super nutritious and in my opinion makes a better pesto, but you will have to blanch the nettle in boiling water for 2 minutes stems and all.